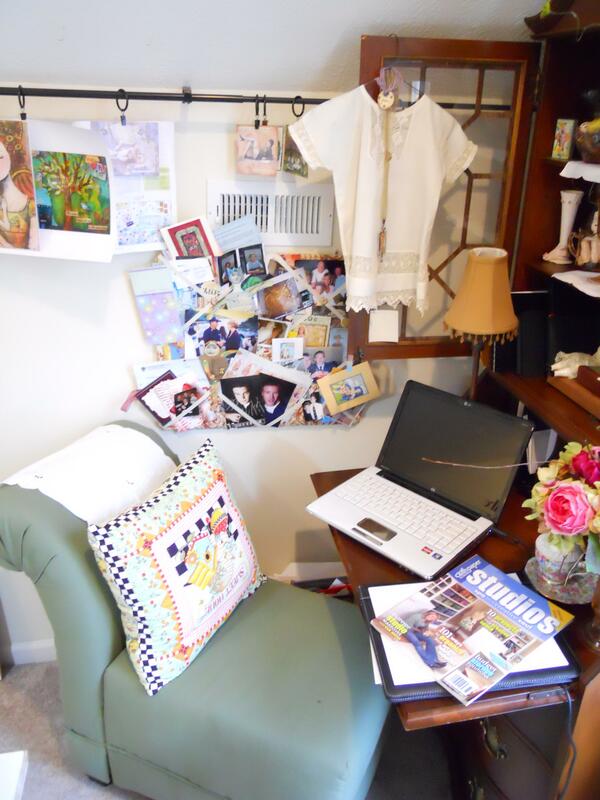 Who doesn’t love to peek into the creative workspace of others?! 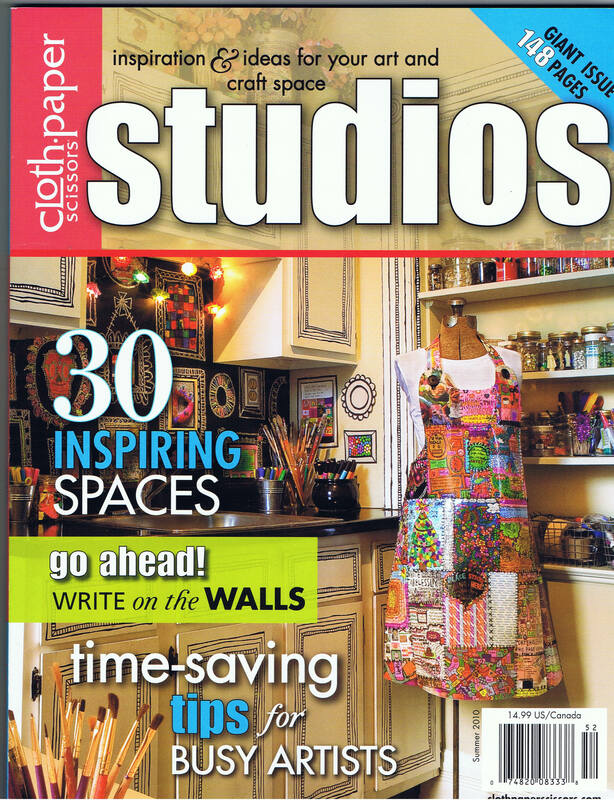 Studios editor (and contributor to my book) Cate Pratos is hosting a Virtual Studio Tour the 15th-17th. So join in the fun and see some amazing creative spaces. 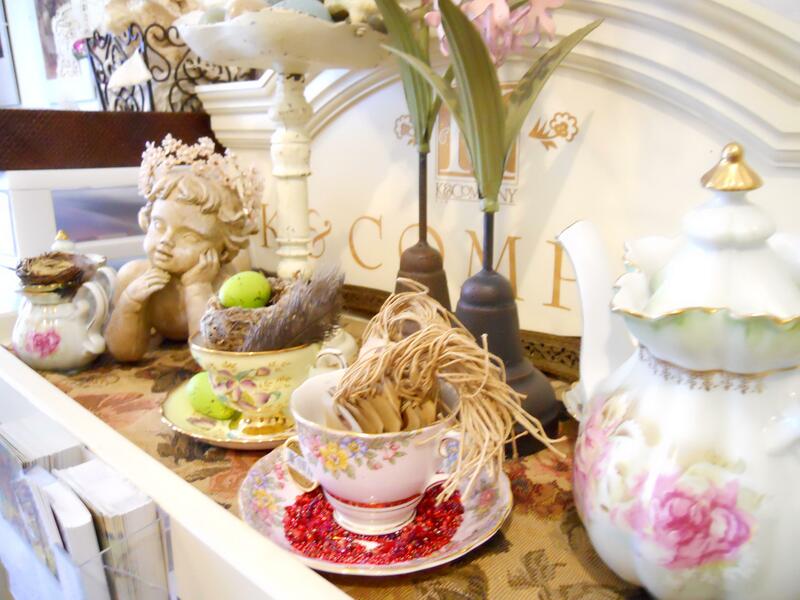 When I revamped my space, I re-purposed furniture from other parts of the house. I pulled my collection of antique depression ware out of hiding and used it to hold my treasures. The only thing I bought was a gallon of paint and this comfy green chair. I added a curtain rod and clip rings to the entire length of the wall to hang things from. It works well with the short walls. Ooops, make this the second thing I bought! 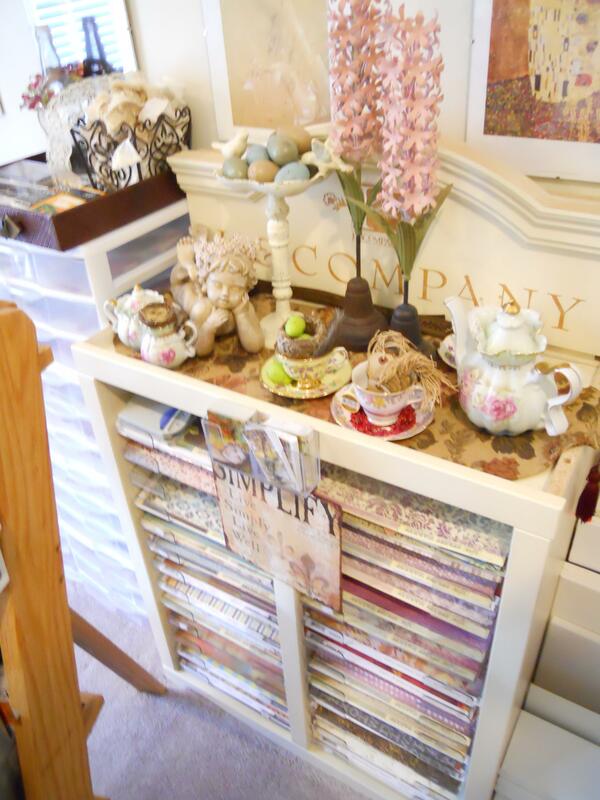 I love this organizational shelf that sits right beside my worktable. I’ve had this shelf for quite awhile, scavenged from a scrapbook store that went out of business. 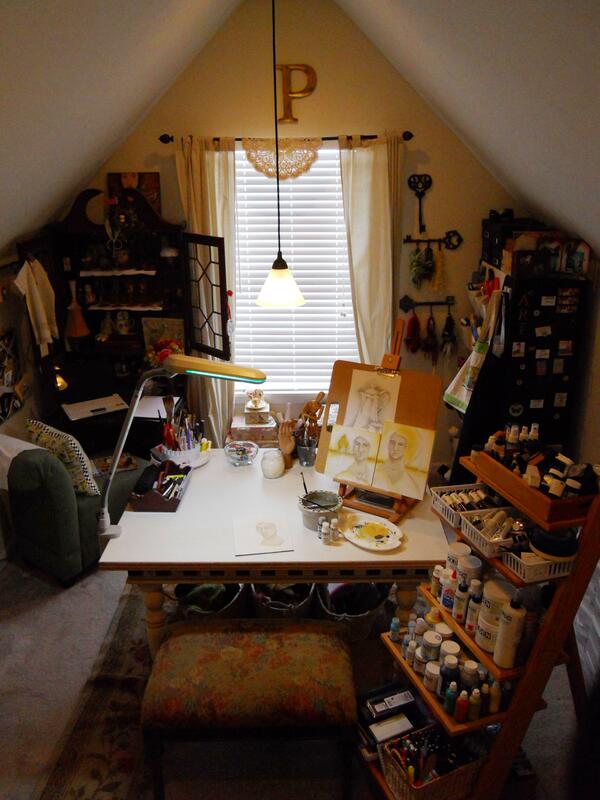 This pic is a tad dark but it gives you a better idea of my studio space. 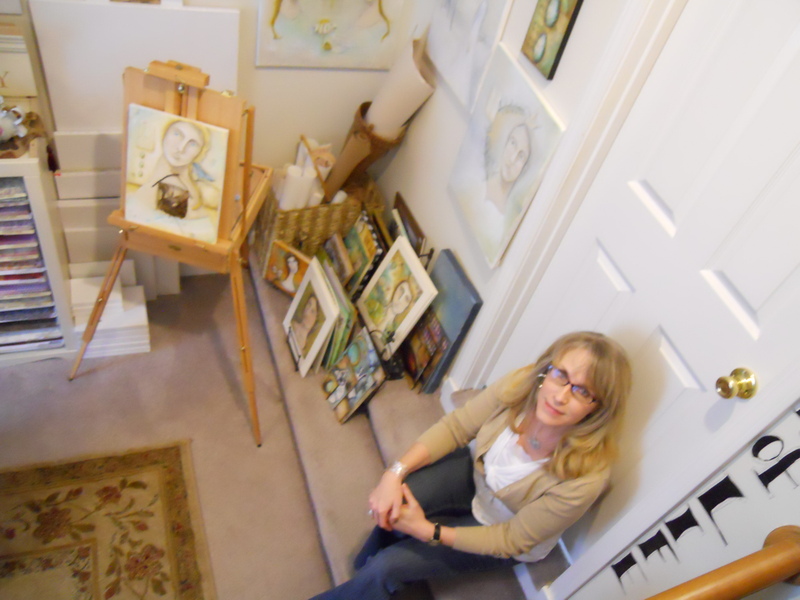 I create in the bonus room over our garage. I really love the cozy feel the sloped ceiling gives the space, while still having height so I don’t feel cramped. When I walk down these three steps I shut out the world and I’m able to focus on living Art at the Speed of Life! 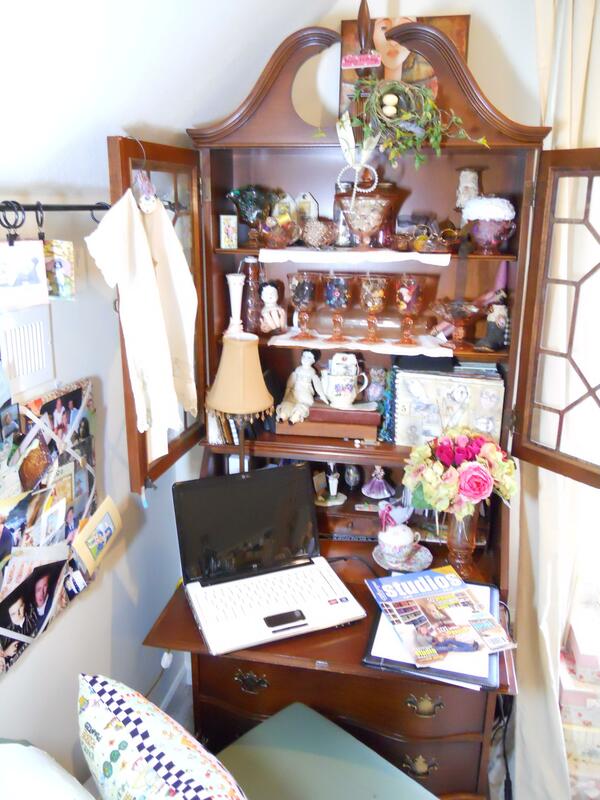 Thanks for stopping by my blog during the Virtual Studio Tour. 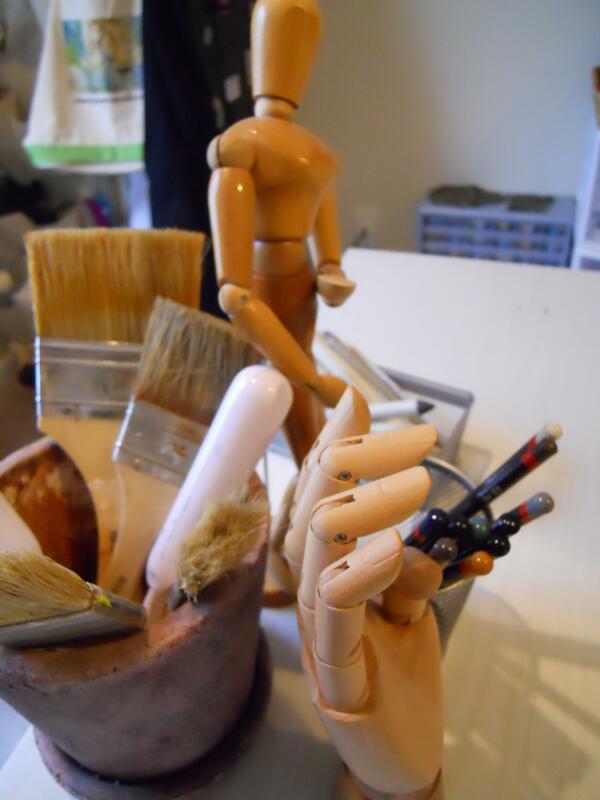 I love your space and how you have it organized. I have since moved my space from my living room to another part of my home and I will be posting pictures soon. I hope you have a wonderful evening. I love your studio and art work. I keep coming back to see more. Thank you for being such an inspiration to everyone. 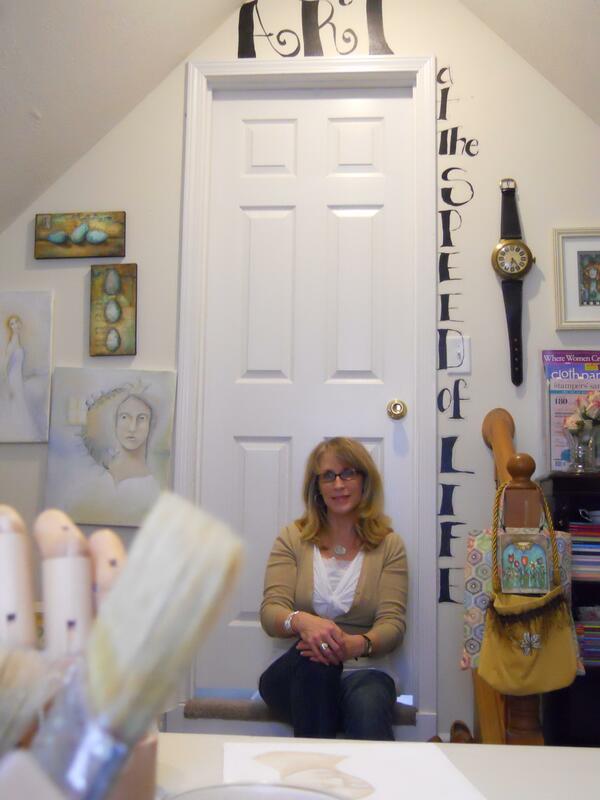 Thanks so much for sharing your studio. I have been a huge fan of your artwork and many articles. Thanks for being such an inspiration. Cheers. Lovely space with a nice feeling. I like your use of the repurposed furniture. love your space! no wonder you can create such amazing things! Ooh I always love taking a peek into others work spaces. A very inspirational space. I love the organizational shelf. Where did you find it? Hi Pam! Thank you for sharing your space with us!! 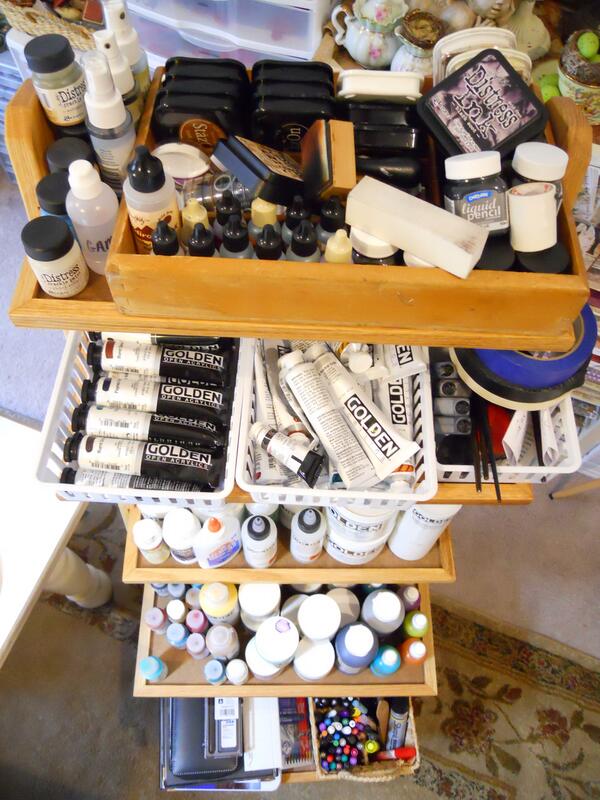 Where did you get that wonderful organizational shelving?? That is absolutely perfect!!! I love your space, your creativity and waht a lovely blog.